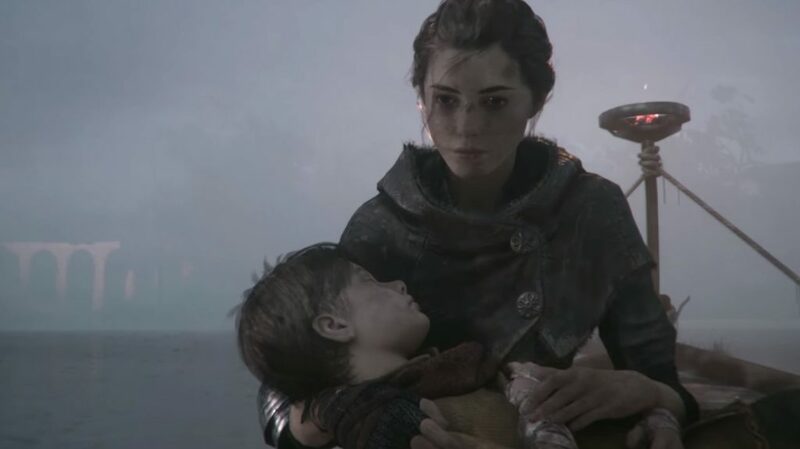 Third person survival horror is getting another shot in the arm this year with the upcoming release of A Plague Tale: Innocence. Developed by Asobo Studio and published by Focus Home Interactive, the game tells the story of a girl named Amicia and her little brother Hugo, two youths on the run from the Inquisition in 14th century Europe. As if that wasn’t terrifying enough, armies of diseased rats are infecting the cities and countryside with a deadly plague. As the player, it’s up to you to guide the two young siblings to safety as all hell breaks loose around them. 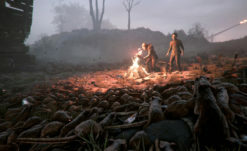 Part Hellblade-style odyssey/exploration game and part The Last of Us survival horror, the developers have described the gameplay as a mix of action, adventure and stealth. 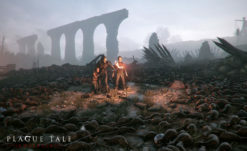 Throughout the game you will be tasked with navigating around giant swarms of rats utilizing tools like torches and catapults, solving environmental puzzles, and outwitting the soldiers of the Inquisition as you search for a way out of the infected countryside. 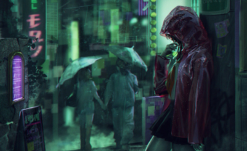 In addition to the more traditional gameplay elements, the developers also wanted to place a special emphasis on the relationship between the two characters and how the innocence of their young lives stands in stark contrast to the dark, rotting world around them. Amicia is headstrong and yearns for adventure, but she’s also very self-reliant and has trouble opening up with others. Hugo, on the other hand, has needed assistance ever since his birth, when he was diagnosed with a mysterious illness. Hugo’s illness demands the constant attention of their alchemist mother and causes a jealous rift between brother and sister. When things start falling apart around them and their normal lives are shattered, the two are forced to rely on each other for survival. 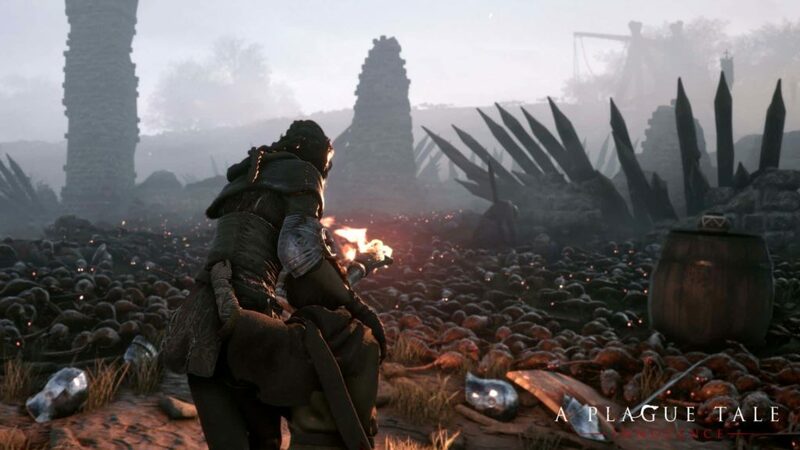 Setting the game in this bleak, brutal chapter of the Middle Ages gives the developers the chance to place players emotionally into a world we seldom see in games. Usually, medieval settings are saved for RPGs or hybrid-style Souls games. We’ve had our fair share of fantasy-horror, but A Plague Tale: Innocence feels different. The horror of surviving one of the worst plagues in human history is an extremely compelling setup. It’s definitely one of those “Can’t wait to play it”-type scenarios. Check out the Offical Story Trailer here, if you’re at all interested. Pre-orders are available now. Digital pre-orders come with alternative outfits and coats of arms for Amicia and Hugo, while the retail version will have additional benefits, depending on the region. 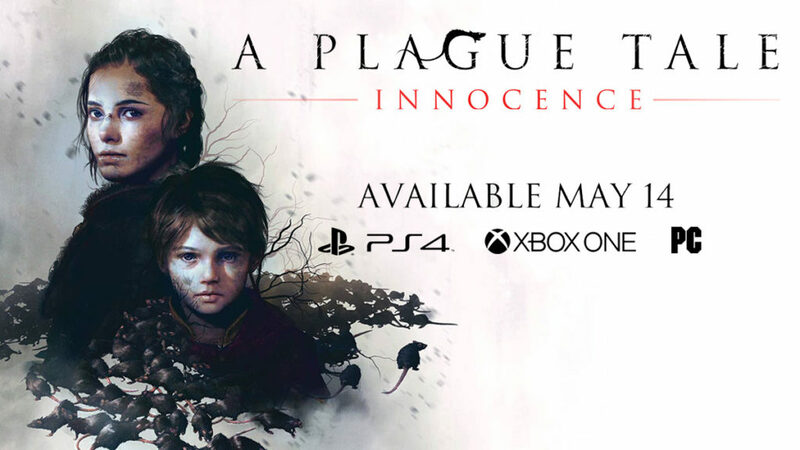 A Plague Tale: Innocence arrives on May 14th for PlayStation 4, Xbox One and PC.